（上）和欧洲农民起义相比，为什么在中国就那么成功？ [美国媒体] Why were Chinese peasant revolts so successful compared to their European counterparts? 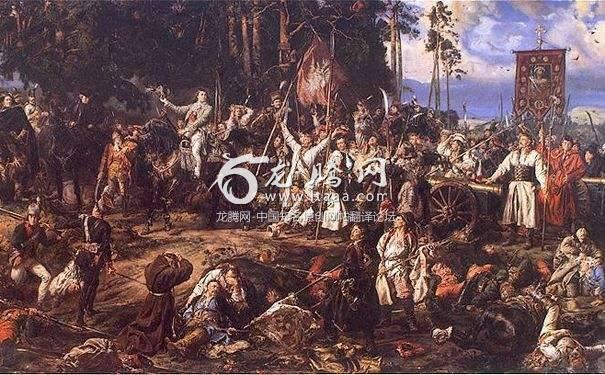 Why were Chinese peasant revolts so successful compared to their European counterparts? Because of the two big differences that existed between the Medi Europe states and the various Chinese dynasties: Feudalism vs Centralization and the cult of Chivalry vs Confucianism. Also, feudalism meant that power vacuums were rare in medi Europe. Throughout most of this period the nobility retained considerable power in most of Europe, functioning as a semi-independent local government that served as a check on royal power. The king really needed their good pleasure in order to have a functioning government. China on the other hand were for most of this period a unitary, centralized state. This allowed a strong and vigorous emperor to exert enormous power, however it also meant that the Chinese state was also more prone to systemic collapse under a succession of weak emperors as too much political power was concentrated in the center. Such power vacuums, without the presence of strong, militarized local nobility to provide an alternative power network, allowed peasant rebellions to succeed much more easily. Lets take as an example the Jacquerie Revolt in northern France between 1356–1358. France in 1356 was in a thoroughly sorry state; the king of France had just been taken prisoner at the Battle of Poitiers by the English, and many of his great nobles and highest officers of the crown had fallen or been captured with him, so that there was a tremendous power vacuum. At the same time bands of English, Spanish, German and Gascon routiers were roaming unchallenged throughout northern France, looting and brutalizing the populace. Well not so in France. What happened was that the French nobility immediately banded together into an army under one of the king’s relative and swiftly snuffed out the rebellion, with extreme brutality. The French chiers, trained from birth in all their vicious martial arts designed to destroy another human body and believing deeply in their God given rights to rule their social inferiors, didn’t need anyone on the throne to tell them what to do and did not need to hire any peasants to do their fighting for them either. With the power of their mailed horsemen over the largely untrained Jacqueries rabble, and the fact that the insurgent lacked any men with experience in high military command, their success was swift and brutal.